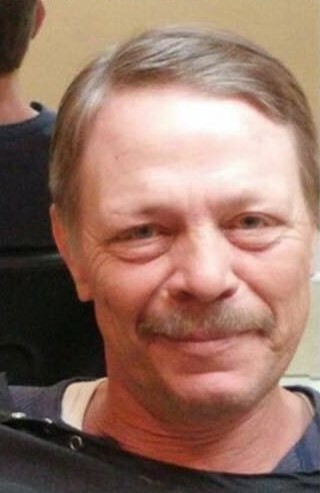 Richard Leon Gee, 55, of Fayetteville passed away on Saturday, October 13, 2018. Richard was born in Hutchinson, Kansas and was raised in Jasper, Indiana; but he considered Fayetteville his true home. He was preceded in death by his father, Richard Gee; mother, Beverly Smith; brother, Randy Opel; and nephew, Dustan Clark. Left to cherish his memory is his son, Ashton Eugene Gee of Hope Mills; three brothers, Ivan Smith and wife, Janet of Dubois, Ind., Doug Gee and wife, Lisa of Carmel, Ind. and Lee Opel and wife, Shannon of Huntingburg, Ind. ; two sisters, Tammy Mundy and husband, Joe of Ferdinand, Ind. and Julie Swift of Fort Wayne, Ind. ; an adopted mother, Linda Skinner of Fayetteville; and all his friends at Louie's Sports Bar and Cheers Too. A funeral service will be held at 2 pm Sunday, October 21, 2018 in Rogers and Breece Funeral Home Chapel. Burial will follow in Fayetteville Memorial Cemetery. The family will receive friends from 1 pm to 2 pm prior to the service at the funeral home. Family and friends are invited to Louie's Sports Bar after the service to celebrate Richard's life.